1. “The Imitation Game” and “Mr. Turner” are players as expected, but they did not lead the pack. Given the likelihood that both could be major contenders at this year’s Oscars, one imagined Morten Tyldum’s “The Imitation Game” and Mike Leigh’s “Mr. Turner” would be all over the British Independent Film Awards. Oscar contenders like “Slumdog Millionaire,” “The King’s Speech,” “An Education” and “Philomena” have all fared very well here in the past, with the former two winning BIFA’s top prize (though notably Oscar Best Picture nominee “Philomena” lost to “Metro Manila” in that category last year). And while both received multiple nominations, including Best British Independent Film, “’71,” “Pride,” “Catch Me Daddy” and “Frank” received the same or more nominations. Most surprising was “The Imitation Game” only receiving only 4 nods, missing out on Best Director, Achievement in Production, Technical Achievement and nominations for any cast members save Benedict Cumberbatch and Keira Knightley. Will the Oscars imitate these snubs? 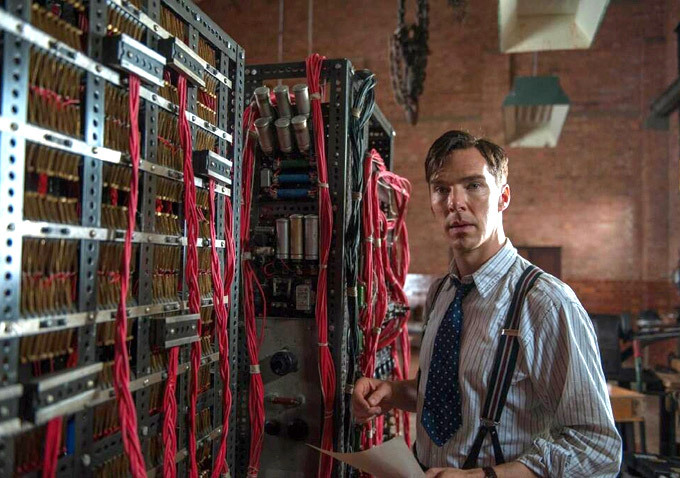 It seems unlikely at this point, though “The Imitation Game” doesn’t open in the U.S. for another four weeks. 3. Given how much the BIFAs loved “’71” and “Pride,” should we given them a second thought when it comes to the general awards race? With 9 and 7 nominations apiece, respectively, Yann Demange’s acclaimed war film “’71” and Matthew Warchus’ crowd-pleasing gay rights drama “Pride” were the two films that dominated the announcement, topping the aforementioned “Imitation Game” and “Mr. Turner.” But don’t fool yourself into thinking that means they are forces to be reckoned with in the Oscar race. The last two winners of BIFA’s top prize, Sean Ellis’ “Metro Manila” and Rufus Norris’ “Broken,” were on nobody’s Oscar radar, so a good showing here doesn’t necessarily mean anything. But at least both films can get some strong exposure at home from this (and maybe a bit Stateside as well), as they are certainly worthy of it. 4. Gugu Mbatha-Raw is now the most nominated person of the 2014-15 awards season. Just last week we called Gugu Mbatha-Raw’s Gotham Award nomination for Best Actress in “Beyond The Lights” one of the announcement’s biggest surprises, and now she’s added to that nomination with two British Independent Film Award mentions, both for her other 2014 performance in the breakout hit “Belle” (which notably did not receive any love besides for that performance). Mbatha-Raw got nods for both best actress and most promising newcomer, bringing her overall awards season nomination count to 3. That’s more than any other individual, though obviously it’s a wee bit early in the season to suspect that designation to hold too much longer. 5. “Fruitvale Station” makes one more awards season appearance alongside “Boyhood.” BIFA’s Best Foreign Independent Film category has nominated the American likes of “Frances Ha,” “Blue Jasmine,” “Beasts of the Southern Wild,” “Winter’s Bone,” “The Hurt Locker” and “The Wrestler” in recent years, though you have to go way back to 2001 for an American winner: “Memento,” which is as we know directed by a man not so much known for his contributions to independent film as of late. This year saw the highest percentage of American films nominated in the category in nearly three years thanks to “Boyhood,” “Blue Ruin” and “Fruitvale Station” (which got a belated release in the UK), and it will be up to one of them (likely “Boyhood,” as far as were concerned) to stop Polish “Ida” and Australian “The Babadook” from continuing the nearly 15 year streak of non-American films dominating this category. We’ll find out when the winners of the BIFAs are announced on December 7th in London. Check out Peter’s latest charts of Oscar predictions here, and Anne Thompson’s latest charts here.